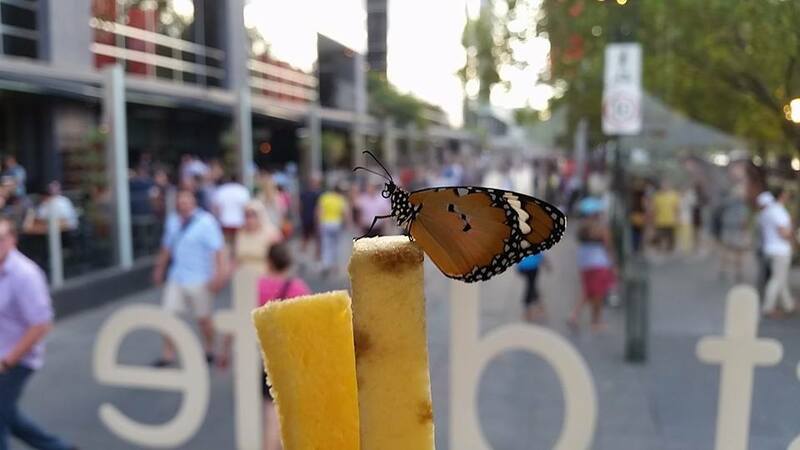 Butterfly and people enjoying the experience at Melbourne Food and Wine festival at Dimmi-first-date-butterfly-house. 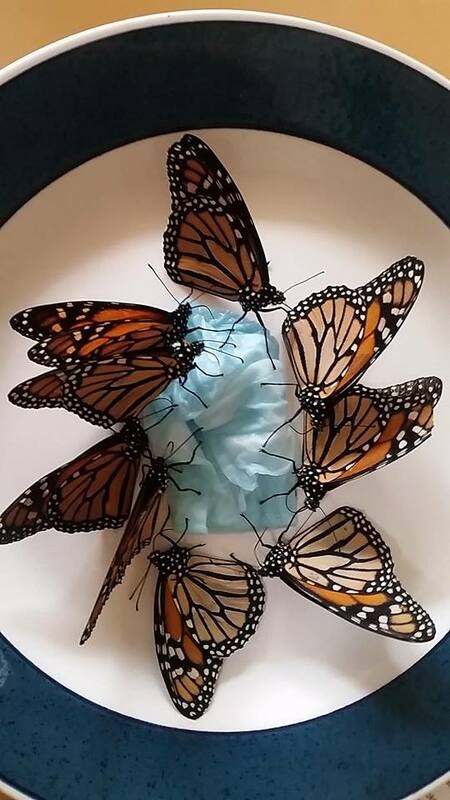 Dinner time for Lesser Monarchs and Monarchs. What do you think they are fed on?